Appleton is a city in Outagamie (mostly), Calumet, and Winnebago counties in the U.S. state of Wisconsin. One of the Fox Cities, it is situated on the Fox River, 30 miles (48�km) southwest of Green Bay and 100 miles (160�km) north of Milwaukee. Appleton is the county seat of Outagamie County. The population was 72,623 at the 2010 census. Of this, 60,045 were in Outagamie County, 11,088 in Calumet County, and 1,490 in Winnebago County. 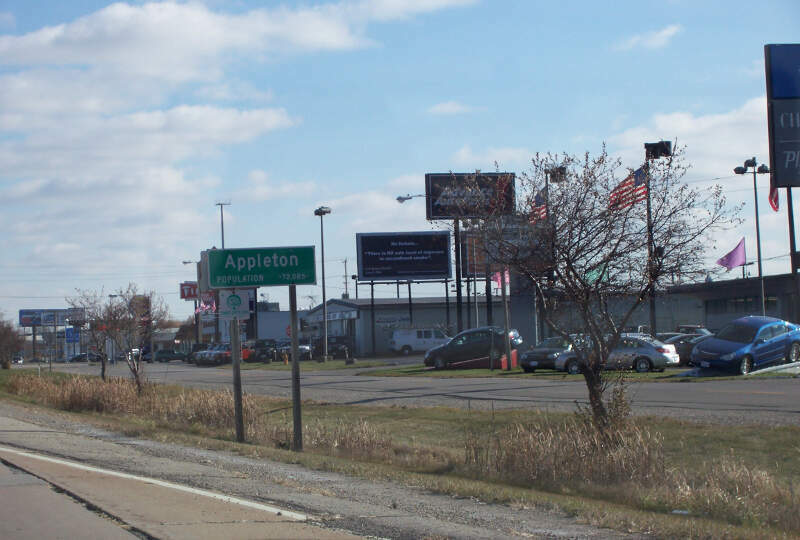 Appleton is the principal city of the Appleton, Wisconsin Metropolitan Statistical Area, which is included in the Appleton-Oshkosh-Neenah, Wisconsin Combined Statistical Area. The city possesses the two tallest buildings in Outagamie County, the Zuelke Building and 222 Building, at 168 and 183 feet, respectively.